Welcome home!!! 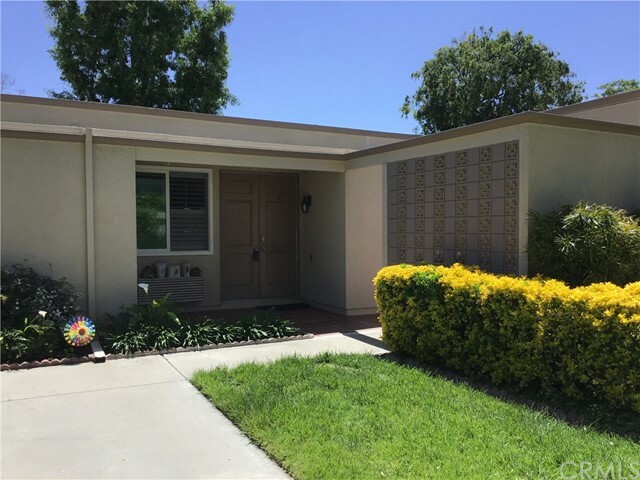 Beautifully remodeled "casa contenta" in the 55+ resort community of laguna woods. This end unit 2 bedroom 1. 75 bath condo has no one above. Lovely, light and bright open floor plan creates a perfect atmosphere for entertainment. Taste and elegance abound from the beautifully created electric fireplace/entertainment wall in the living room to the huge custom glass and tile shower in the master suite. The remodeled kitchen with its crisp white built-in cabinets, new quartz counters and stainless top of the line kitchen-aid appliances is a gourmet cook's delight! Easy care woodlook vinyl laminate floors throughout. Kitchen is now opened up to the livingroom and offers great tree top views and a large custom island. Double pane windows and central air will keep you comfortable year round. This is retirement living at its best! Amenities include 27 hole championship golf, 5 swimming pools, tennis, over 200 clubs and organizations to choose from and just a short distance to orange county shopping, entertainment and laguna beach with its art galleries, shops and restaurants! What more can you ask for!! Listing Agent: Claire Craig Listing Office: Laguna Premier Realty Inc. Priced to sell! Needs tlc. Spacious 2 bed/1. 75 ba el mirador model; second floor, end unit 1260 sqft, with enclosed spacious balcony. This model features a double door entry into an entry alcove, a large kitchen, spacious master suite, the second bedroom and second bath is located at the opposite side of the unit, perfect for visiting guests. The large living room has a built-in closet you will love and appreciate. Convenient subterranean parking leads to an elevator for your second floor unit. You are buying a beautiful condo and a life style of the laguna woods village with all the amenities this 55 plus village has to offer: 5 swimming pools, 7 clubhouses, 2 fitness centers, a 27 hole golf course with its own clubhouse & a 9 hole par 3 executive golf course, an equestrian center, wood workshop, a ceramic/sculpture studio with kiln, and much more. Over 200 social clubs to join. Free bus service within the village or to the nearby shopping & medical centers. 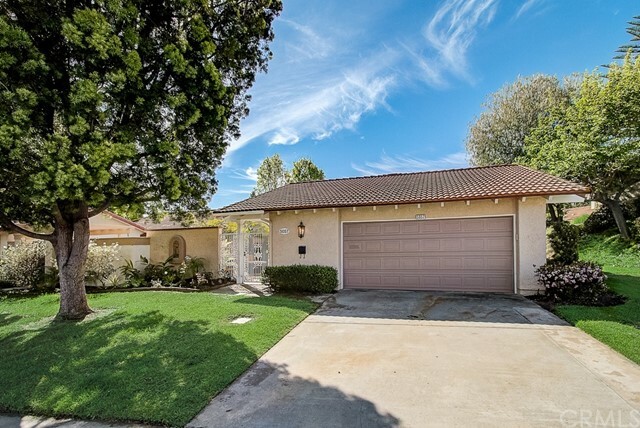 Only 5-7 miles to laguna beach, short distance to 5 & 405 fwy. The most amazing view! Large 1 bedroom 1. 5 baths with 975 sq ft of living space. 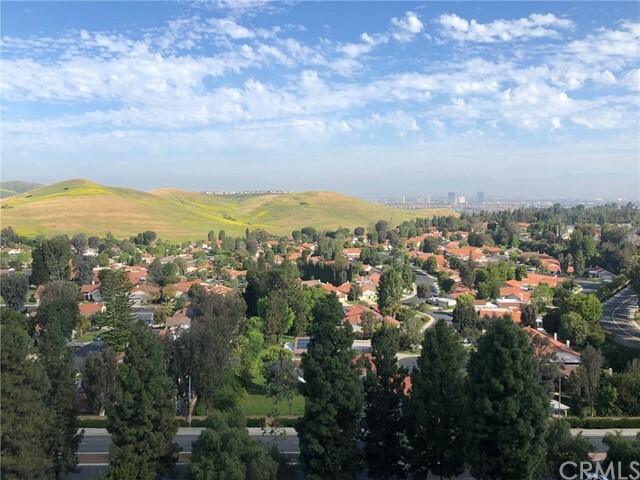 Northern views from every window of the distant mountains, irvine spectrum, hills, and the gorgeous city lights amazing value for ‘g’ model located on the 10th floor. This home has an updated kitchenette with extraful cabinetry. The large living room with room for a dining table make this the perfect home. There is a walk-in closet and a bath with a walk-in shower in the large master suite. And a half bath for guests. Enjoy senior resort living that comes with owning a home at the towers. Included in your monthly assessment is a lunch and dinner meal plan, housekeeping, all utilities paid (except phone & internet) cable tv, planed activities and entertainment, an attended lobby/reception desk and more. This is truly resort living. 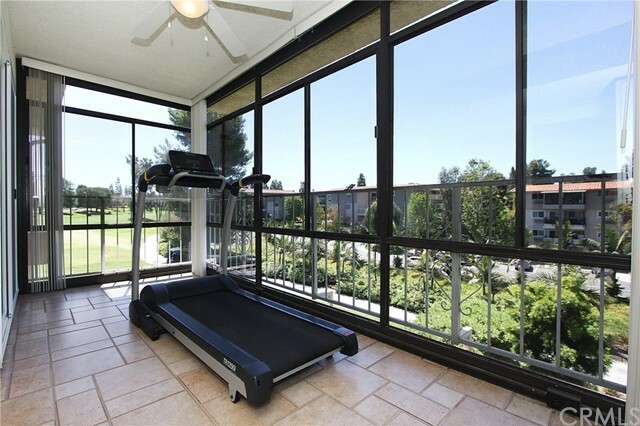 Plus, you enjoy all the wonderful amenities that laguna woods village 55+ gated resort community has to offer. 2 professional golf courses and a 9 hole executive course, imagine playing 18 holes for less than $10. 00, 7 clubs houses, 5 pools, 2 fitness centers, lawn bowling, a state of the art theater, equestrian center, art studios, over 200 social clubs and organizations, free bus transportation within the community as well as to local shopping centers, medical building, all this and only 5 miles to beautiful laguna beach. Listing Agent: Nancy Larkin Listing Office: Laguna Premier Realty Inc. Warm, inviting, and impeccably finished, as a lw village model home. Welcome to this light and bright, home, overlooking greenscapes. Up just 9 steps, and enter an inviting home with updated kitchen, 2 bedrooms, 2 bathrooms, corian countered kitchen, and lovely cove moulding. 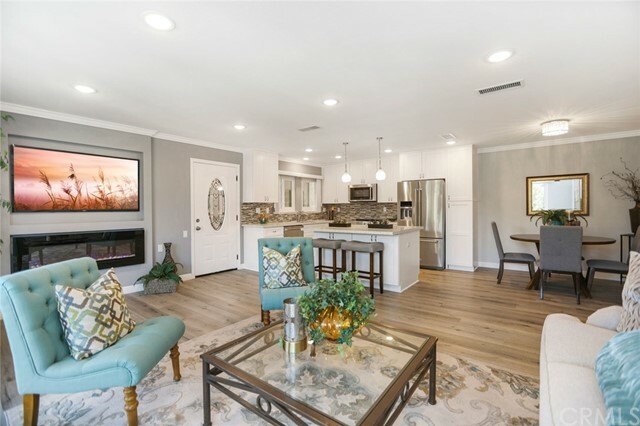 Move right in, and enjoy all that the laguna woods village lifestyle has to offer: golf, tennis, swimming, craft clubs, theater performance hall, lawn bowling, and even an equestrian center! 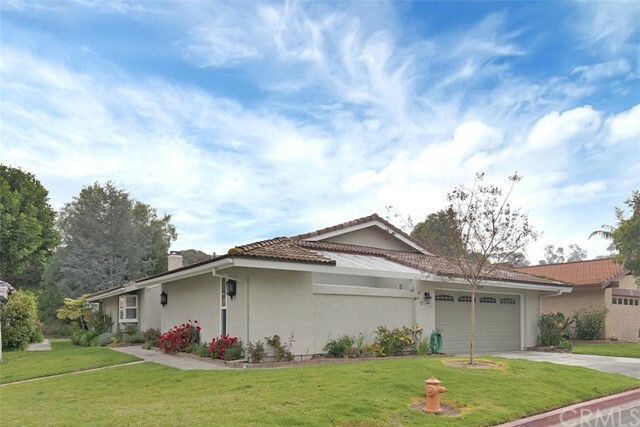 Let us give you a tour of laguna woods village.